The REPS environment scheme encouraged farmers to make positive environmental changes on farms which would not have occurred without the scheme’s financial payments. Participation has rekindled interest and appreciation of natural flora and fauna. The Irish landscape has been developed through centuries of farming and agricultural practices. Farmed land provides much of the natural habitats of a wide range of native flora and fauna, but development in farming can impact negatively on the natural biodiversity. REPS (Rural Environment Protection Scheme) and its successor AEOS (Agri-Environment Options Scheme) promoted environmentally friendly farming practices and preservation of the farmed landscape. From 1994 to 2009, 62 000 farmers participated in four REPS schemes, and 21 250 in AEOS. REPS incentivised farmers to use environmentally beneficial activities to: a) establish farming practices which reflect the concern for conservation, landscape protection and wider environmental problems; b) protect wildlife habitats and endangered species of flora and fauna; and c) produce quality food in an extensive and environmentally friendly manner. AEOS promotes biodiversity, encourages water management/quality and combats climate change. This example profile is a 32 hectare beef breeder, with a herd of 13 cows and 60 other cattle. All stock are finished to beef. He joined REPS in 2000 and: planted 300 metres of new border and dividing hedges; installed bird boxes on farm buildings and trees; planted a traditional orchard of 12 apple trees; collected and piped away all surface (clean) water from the sheds; painted sheds; and built a slatted shed with grant assistance. The new slatted shed allowed removal of stock from the land during winter and effective control of slurry. The hedges provided shelter, division of fields for rotational grazing and encouraged more birds and animals. 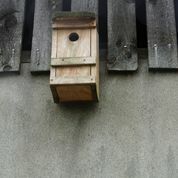 Birds are using the boxes for nesting. 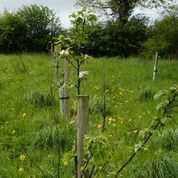 Much of the education in REPS/AEOS centred on good farm practice: maintenance of boundary fences and walls; protection and clearing of watercourses; efficient use of nutrients; and pollution prevention. The schemes combined general good practice with environmental good practice. One of the main impacts has been getting farmers to ‘stand back and think’ about the impact their farm practices were having on the natural environment. Participation in the schemes has led to a better quality of life for farmers through improved working environments. It is evident that significant action would not have occurred without the financial incentives of the schemes.